Kassanova, Raffeah, and Naseebah coming in from their second loop. 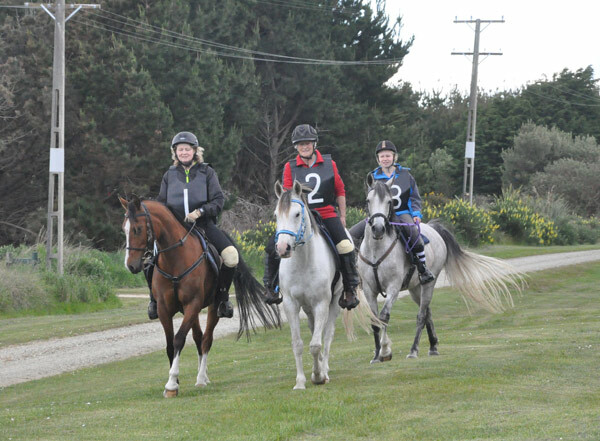 Our three endurance horses Kass, Fea, and Seebs all completed their first 80km ride for the season, at the Mt Linton club’s Sandy Point ride on Saturday (November 14). Aurora Raffeah and Lyn on the beach. 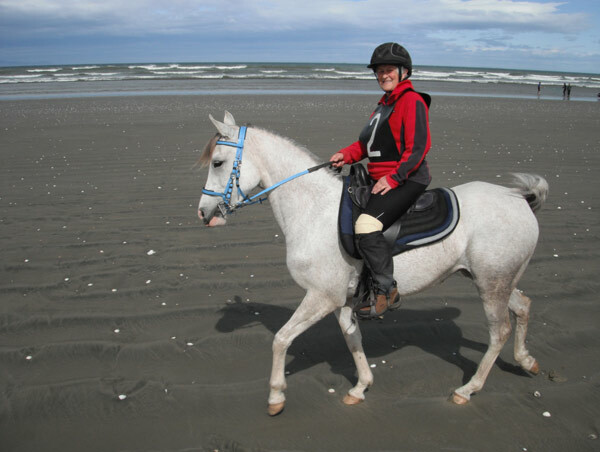 The mares Aurora Raffeah and Aurora Naseebah are now open, having completed their first 80km last December, at the second to last ride for the club. Kimberley is also now an open junior rider. 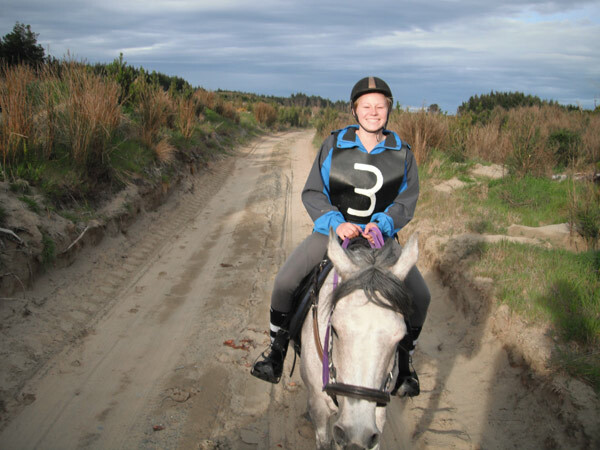 It was the first 80km completion for the popular bay gelding Aurora Kassanova, who also gave Robin her first 80km completion. Kimberley and Naseebah on the trail.